Watch your kids improve their English language skills as they explore the eye-popping Poptropica universe. The Poptropica English Family Reading App helps kids develop their comprehension, fluency and vocabulary skills through reading, listening, and having fun with interactive activities. Your kids will play with their favorite Poptropica characters in the interactive stories and have fun as they practice their reading. And while they’re having fun, they’re also practicing what they’ve learned in the classroom. 1. Family Island: Tabitha, Josh, Bobby, and Waldo have a day out at the amusement park. 2. Tropical Island: A group of friends are shipwrecked and have to find a way to get home. 3. Space Island: Peter and Pepper are asked for help by aliens on a distant planet. 4. Movie Studio Island: Max and Clara set out on an adventure to help an actor find his lost pirate costume and earn a wonderful reward. 5. Ice Island: Explorer Jason Strong and his friends start out following polar bear tracks that lead them on an adventure to save Ice Island. 6. 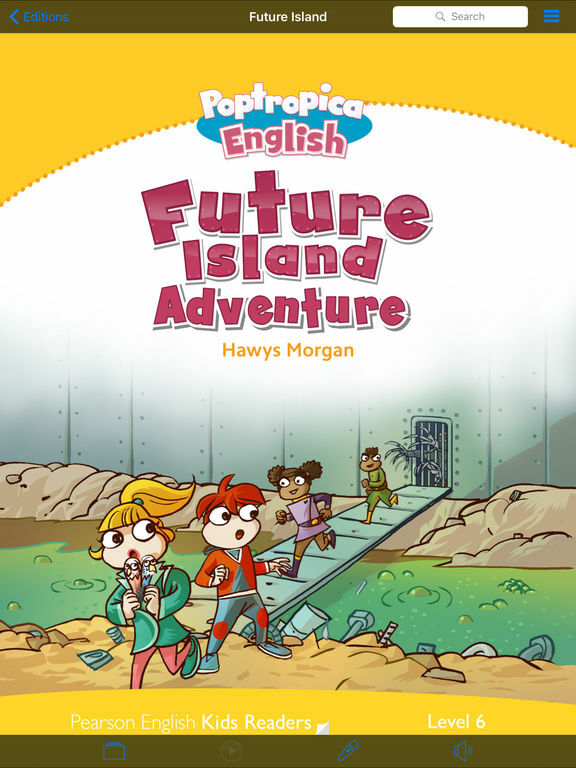 Future Island: A thousand years in the future, a group of friends researching a school project escape robot guards to find out about life in the past. Read it to me – listen as the app reads to you and turns the pages for you, highlighting each word as it goes. Read it myself – record your voice and play it back to check your pronunciation. 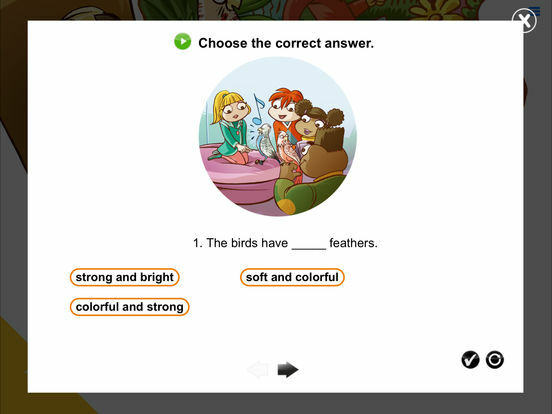 The Family Reading App books are designed to be read by children at home – alone or with their parents – and can also be used by teachers in the classroom. Watch your kids improve their English as they explore the Poptropica universe.